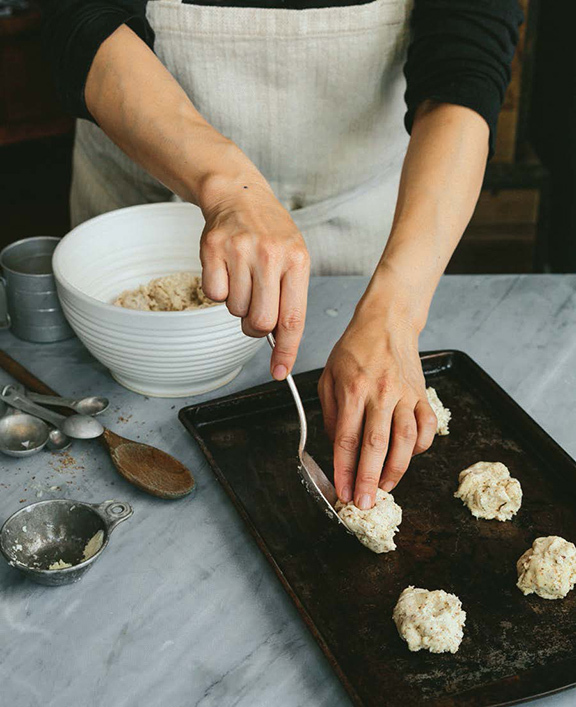 Miyoko Schinner has been delivering up her distinctive style of gourmet vegan cuisine for decades through her many enterprises, including her Now and Zen restaurant in San Francisco, the natural food company where she invented Hip Whip and the Unturkey, cooking classes, lectures, and cookbooks. 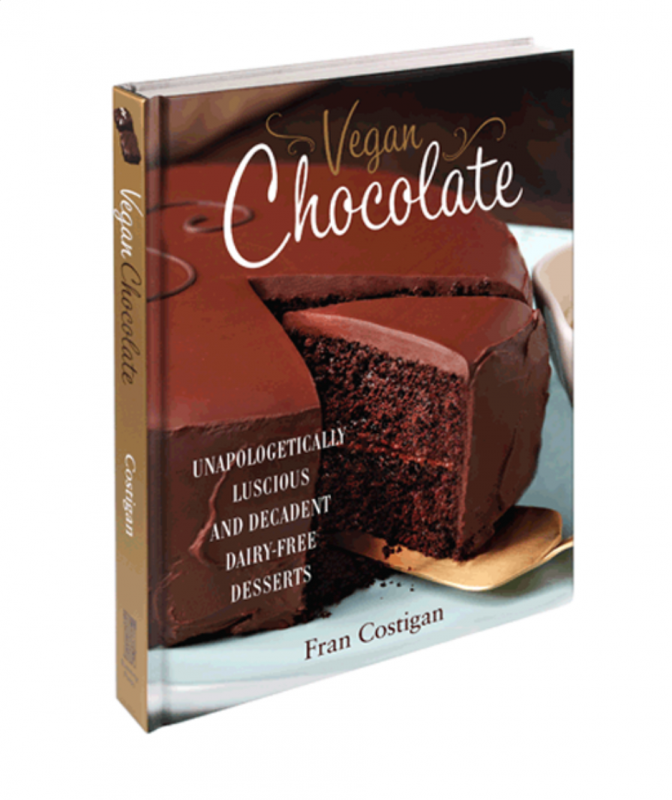 Her groundbreaking book Artisan Vegan Cheese preceeded Miyokos’s highly anticipated newest: The Homemade Vegan Pantry. Miyoko is the founder of Miyoko’s Kitchen, makers of artisanal vegan cheese which are available at key retailers and online. 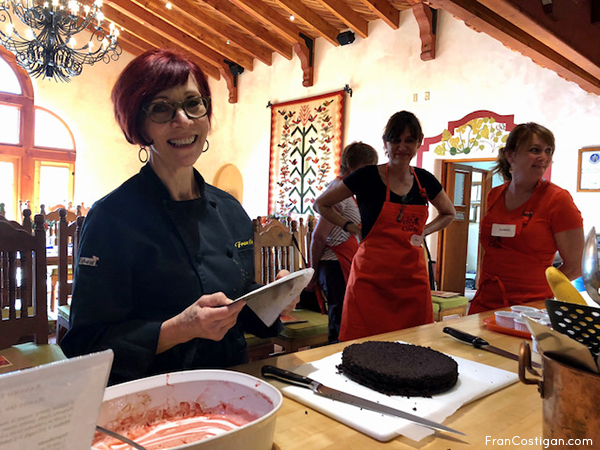 I had the delicious pleasure of visiting Miyoko’s Kitchen on June 1st this year, when I was in the Bay Area for my Google YouTube Vegan Chocolate event. Let me just say this, Miyoko’s cheese facility is all that you’d imagine and more. 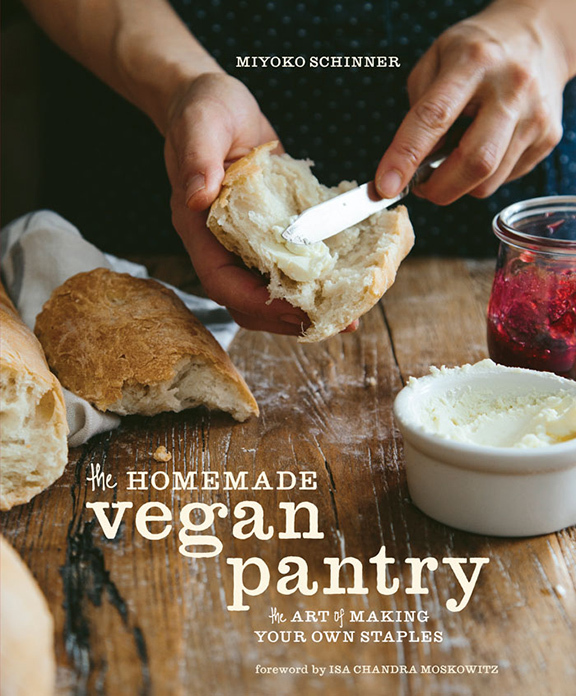 Since I stayed at Miyoko’s home, I got to see her advance copy of The Homemade Vegan Pantry and taste the Glorious Butterless Butter, which can be found in the book. It looks and tastes like the best butter of memory, and really, it is quite simple to make. Miyoko’s recipes work. It was hard to choose a recipe to make for the blog, and while I think most people, including Miyoko, would have expected I’d go right for the French Buttercream, my family had other ideas. I was responsible for making breakfast at my daughter’s home Sunday, June 14th, which happens to be my birthday. Go figure. My grandsons Seth and Eli (5 and 4 respectively) and their dad wanted pancakes and waffles. I looked through my copy of The Homemade Vegan Pantry and there I found Classic Pancake and Biscuit Mix. The photos we took of our adventures in breakfast are not especially fine, but the pancakes and waffles sure were. My daughter took the apron strings after all and said, “Mom, this is like a healthy Bisquick”. The mix came together in no time. Wanting to make the whole wheat version but without whole wheat pastry flour in the house, Tracy mixed all-purpose and whole wheat flours, 50-50. She heated the griddle and also her stovetop Waffle Stick pan. Another thing Tracy has that I don’t is a pancake batter dispenser. I never understood the point. Now I do. Making designer pancakes was a breeze. The boys, who are used to taste testing recipes, gave two enthusiastic thumbs up. Tracy is going to make this again and keep it stored in a container in her refrigerator. (Mom says, whole wheat in the refrigerator!) With recipes for everything from Ketchup, Mustard, Jam, Sour Cream, to make your own Tempeh and Real Tofu, Yuba and UnFish Sticks, there is something for everyone who wants to make their own real food. Right now, I’m fascinated by the recipe for Roasted Tomato Skin Pesto that follows the Roasted Tomatoes. Who but Miyoko would find a way to use those flavorful skins?! She did the same with the flax seeds left after straining the Flax Seed Egg Whites, giving us the option to make crackers. I’m going to be DIY’ing from this book on a very regular basis. Check it out, I think you’ll feel the same. Weekends are more relaxing with this in your cupboard ready to be turned into pancakes, biscuits, and waffles. 2 to 3 minutes. Store in an airtight container or ziplock bags in your pantry for up to 6 months. Whole Wheat Pancake and Biscuit Mix – Substitute whole wheat pastry flour for the all-purpose flour and increase the baking powder to 3 tablespoons. Follow the ratios below for pancakes and waffles. 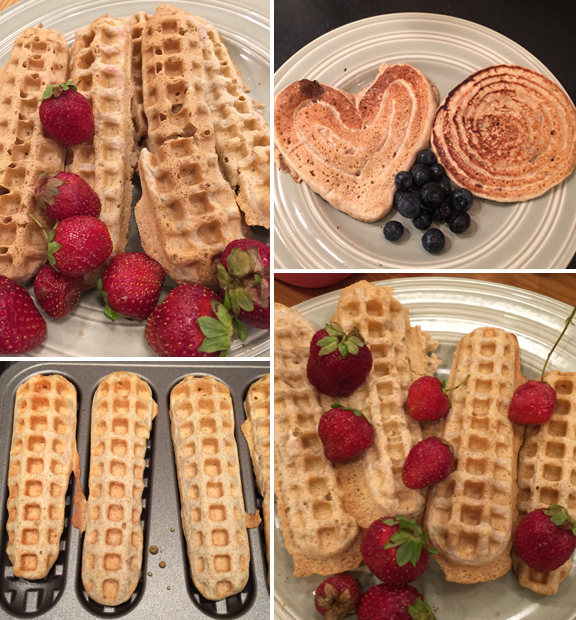 Whole Wheat Waffles—1 part baking mix : 1 part soy milk If desired, add 1 tablespoon of maple syrup at the same time as the soy milk for extra sweetness. These are thick, fluffy pancakes that will delight young and old alike, bringing memories of a time when Sunday mornings were lazy and meant for pajamas. And these pancakes let you stay in your pajamas, because they’re so easy to make once you have the mix! Actually, the recipe is just equal parts mix and non-dairy milk, so you can make this in any quantity you want. As a guide, one cup of mix is enough for four to six pancakes, so that might feed two or three people (or sometimes only one!). Get your griddle heating before you mix the batter, because it takes no time to do that, and you’ll be waiting around for your hot griddle otherwise. Your griddle should always be hot when the pancake batter hits it. To make the batter, simply put the mix in a bowl, and the milk, and stir quickly and not thoroughly; you want to deliberately leave it lumpy. When the griddle is hot, spray it lightly with non-stick spray, or melt a little Glorious Butter on it. Then pour about a third to half a cup of batter per pancake. To make light, fluffy pancakes, make sure to cook it on one side until the top is covered in bubbles (air pockets), then flip and cook briefly until browned. They’ll rise quite a bit, so three will form quite a stack. Spread some Glorious Butter, pour on some maple syrup, and dig in while in your jammies! Whisk together the mix and nondairy milk. Pour into a heated waffle iron, and cook until crispy and golden brown on both sides. I have a copy of The Homemade Vegan Pantry for one lucky winner. Follow the instructions below to enter. Contest ends at midnight eastern time on Sunday, July 5th. U.S. residents only, please. Good luck! 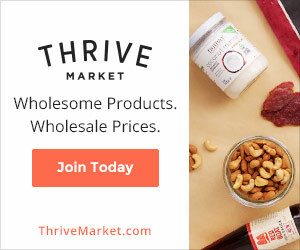 Vegan newbie….. need all the help with my new vegan pantry..love it! I don’t know if this applies, but I like to cook beans in my pressure cooker instead of buying canned. Wow…. looks like an amazing cookbook. I’ve been trying to cook more vegan meals for my family and I recently. This book would be great to help me make yummy, tasty meals my whole family will love. 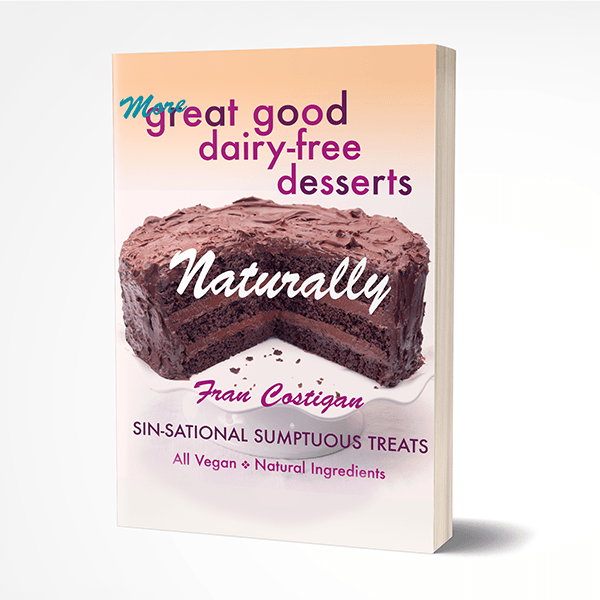 I make many of my own products – mayo, salad dressing, seitan, burgers, biscuits, muffins, cupcakes, barbecue sauce, cookies, etc. I like to make my own vegan burgers & cheeses! Thanks for the giveaway, Fran & Miyoko!! Usually just make the dairy staples; milk, mayo, sour cream, ricotta; cheese sauce; would like to make more staples . Steel cut oatmeal. I make a huge pot for my daughter and myself and then we eat it throughout the week adding fruit, stevia, almond milk and anything else we like to it. No added sugars or any other ingredients we don’t want or need. i make my own mayo, have not found a brand within an hours drive that i enjoy that is pre made. I like making a cashew cheese spread but I want to branch out and try making seitan. Seitan is the basic I make most frequently at home. I’m not a fan of packaged vegan cheeses, so I make my own cheese from time to time as well. (I still haven’t broken in my copy of Artisan Vegan Cheese though). I like to make my own hummus! I always make my own salad dressings. It’s weird to think that I used to only buy it bottled. Now that never happens. I don’t have a favorite, but I try to make as much as possible from scratch, this recipe is awesome because if I am not around, my husband will buy bisquick and make that for the kids, I can now have this on hand for him for when I am not home! Thanks. I am most interested in trying her butter recipe. It looks like a winner! I am frequently to blogging and i definitely appreciate your content. The article has seriously peaks my interest. I am going to bookmark your internet site and preserve checking for new info. But how do you make the biscuits? The recipe for the biscuits is on the blog. It starts with the baking mix. Have another look. I just checked.